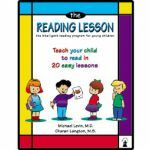 Educational Games are always discounted at Schoolhouse Publishing! Imagine teaching your children valuable skills while enjoying some family time and having fun - all at the same time! Games make a wonderful addition to your homeschool curriculum. They make great gifts as well. Spark your homeschool studies with great games.